Nicaragua lies in the heart of Central America, just north of Costa Rica. It’s known for warm weather and incredible landscapes, which range from mountains and volcanoes to beaches and jungles. There’s no shortage of things to do in the country, including visiting its many islands, jumping off cliffs, and watching the sun set and rise from a mountaintop. Do all that and you’re bound to get hungry. Instead of popping into a fast-food restaurant or grabbing something on the go, opt for a more authentic experience. Luckily, you can find local Nicaraguan food on just about every corner of the country without even trying. These are 10 foods you need to try on your next trip to Nicaragua. 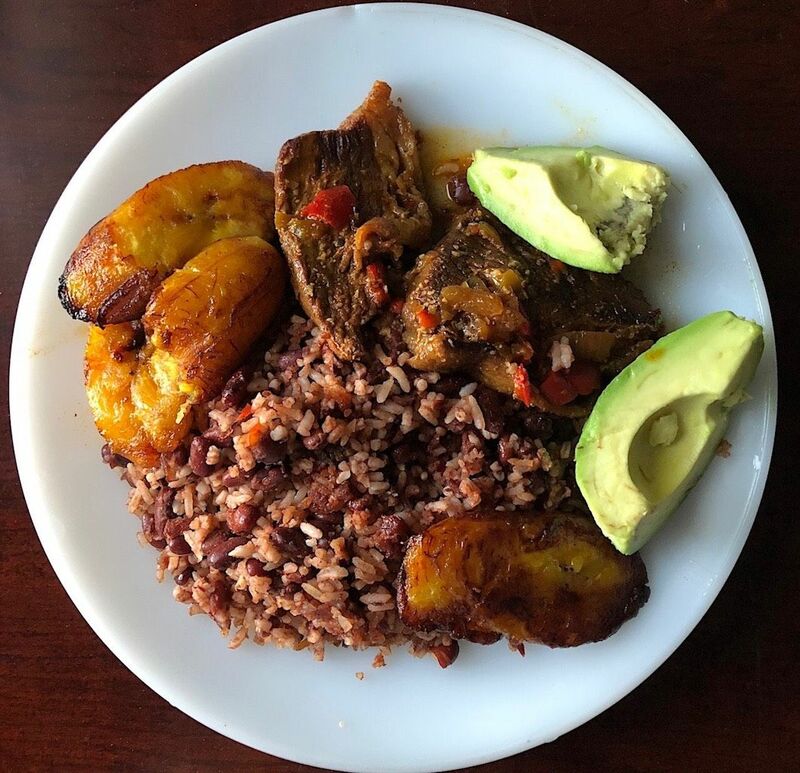 If Nicaraguans were to choose one dish as the national food, it would be gallo pinto. The name translates to “painted rooster,” which is a reference to the food’s dark red, brown, and white colors. It’s rice and beans, but the preparation elevates the simple dish. The dried beans are soaked in water for at least several hours if not a full night. When they’re ready to be cooked, they’re boiled in water while the rice is fried. Seasoning and chicken broth are added into the pan. Finally, the beans are combined with the rice and everything is fried together. A staple of Nicaraguan culture, it can be eaten for any meal of the day. Every Nicaraguan family makes its arroz a la valenciana a bit differently, but the core of the dish is the same. 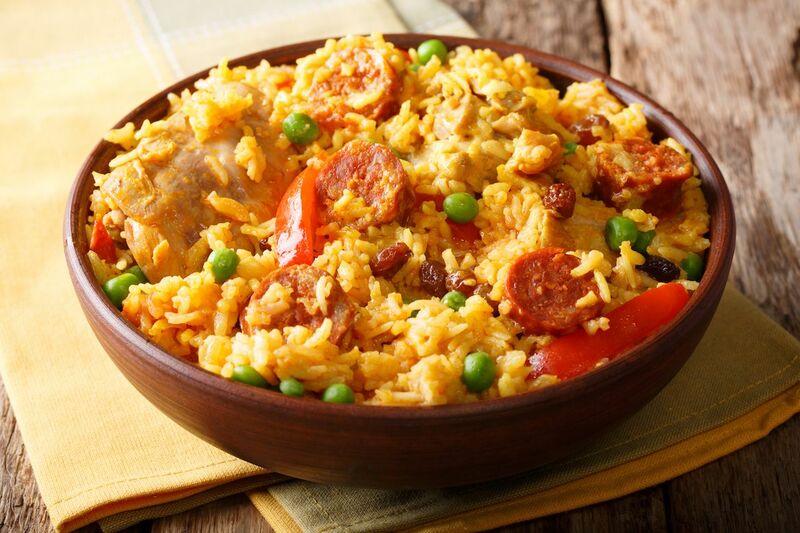 It’s similar to paella and jambalaya made with yellow rice and chicken. First, the chicken is cooked with onions and peppers; then, it’s stripped of any bones. The rice is prepared next, and the chicken and any additions are mixed in. It depends on the family, but other potential ingredients include raisins, carrots, chorizo, peas, and tomatoes. Vigorón is a popular street food in Nicaragua that’s simple to make. It can be eaten with your hands or with a fork and knife, and it’s commonly served when there are guests visiting or as a side dish. 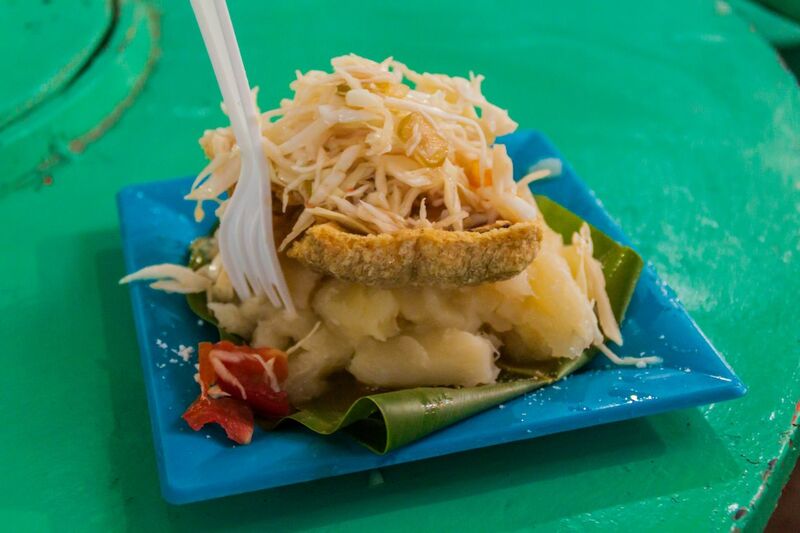 It consists of curtido (cabbage salad), yuca, and chicharrones (fried pork belly or rinds) all wrapped in a banana leaf. 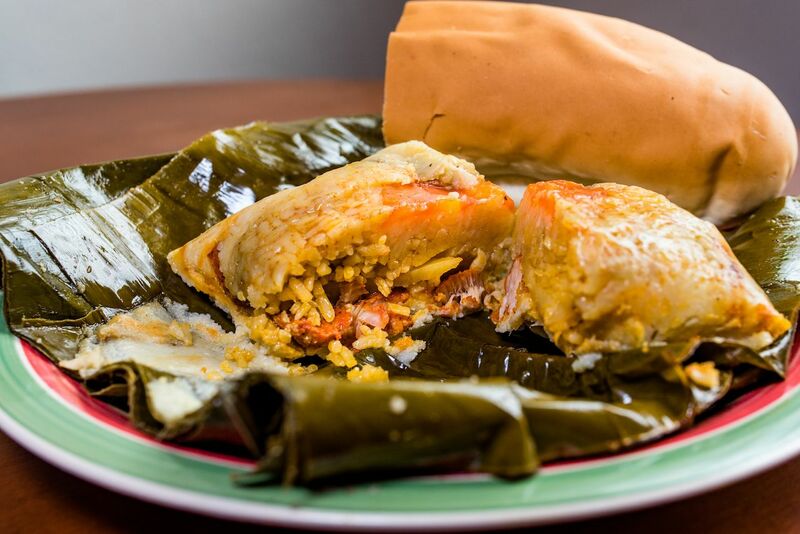 Nacatamales are the Nicaraguan version of tamales. A nacatamal is made up of seasoned masa (a type of corn dough) that’s stuffed with various foods, such as pork, rice, potatoes, and olives. Once the masa has been prepared, individual portions are placed in banana leaves and spread by hand. The fillings are placed on top, and it all gets wrapped in the leaves and tied together with string. The final step is to boil or steam the nacatamales for several hours. They’re so delicious that you can eat them at any time of day. That said, because the process is arduous, they’re usually served during dinner for special events, celebrations, and holidays. Many Latin cultures have their own variation of salpicón, but they all look vastly different due to the different ingredients added in. In Nicaragua, salpicón is minced beef mixed with onions, garlic, and green peppers. It’s almost always served with white rice. Indio viejo is a thick stew that resembles a curry. The dish takes approximately two hours to make, and ingredients include beef, onions, tomatoes, peppers, mint, and masa. The meat is sauteed in a saucepan filled with water and sour orange juice while the masa is prepared separately. The masa is mixed with water on its own to provide the broth’s thickness, and vegetables, more juice, and achiote (a reddish seasoning) are thrown in with it to give it a bright orange color. Once all the food is all together, indio viejo is served on its own or with rice. Güirilas are a particular type of tortilla that originated in Pacila, a town in northern Nicaragua. It’s made by cooking young white corn on banana leaves to prevent any sticking. Unlike other tortillas, güirilas are on the sweeter side and eaten with cheese and sour cream. Nicaraguans believe that no part of an animal, and no food in general, should go to waste. That can especially be seen in sopa de modongo. The soup is based on cow tripe, and in some cases, cow’s feet, pig’s tail, and bone marrow are added in. To soak up the savoriness of the soup, it’s eaten with tortillas and avocado. Legend has it that the soup has healing powers that can cure anything from sickness to a hangover. Plantains, whether maduros (ripe and sweet yellow plantains) or tostones (green plantains), are an essential part of Nicaraguan food. They’re eaten solo as a snack or as a side for breakfast, lunch, or dinner. Usually, they’re part of all three. However, there are some main dishes that revolve around plantains, such as maduros en gloria. It’s close to lasagna in design with its cheesy goodness but fundamentally different because instead of rows of flat pasta, there are rows of long maduros. A perrerreque is a savory corn cake that’s usually eaten for dessert. Cornmeal, baking soda, milk, cheese, and sugar come together to make the delectable treat. It’s frequently used to mark special occasions — whether it’s a new friend coming over, celebrating a child’s good grades, or a birthday.